More from WDE…. first a couple of rough sketches… there were three separate ref pics of dogs, after sketching two of them I decided to combine all three into a digital painting, all were done freehand. 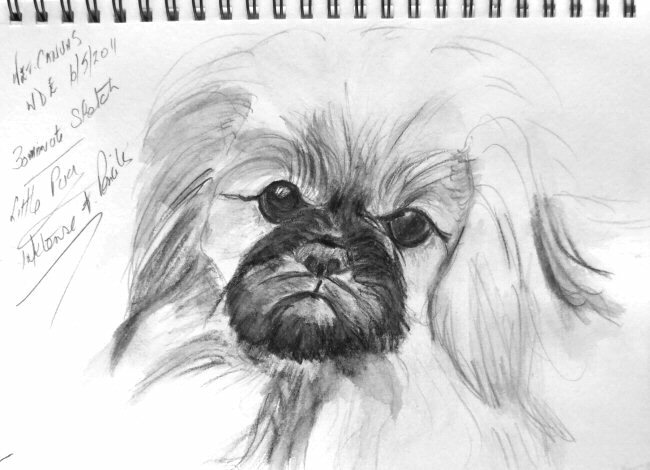 Sketch two……. 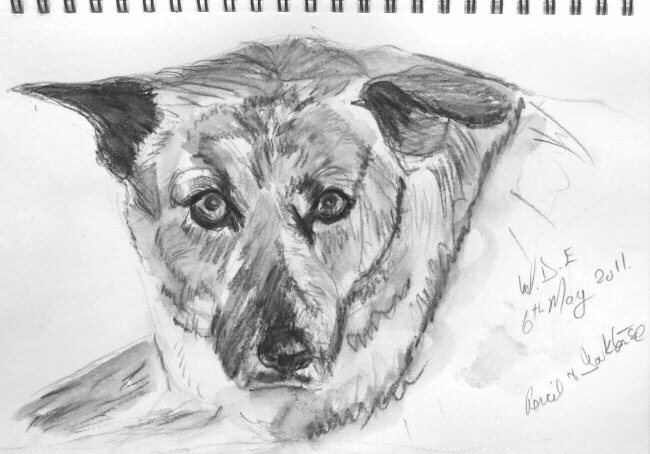 Same again pencil and inktense wash. 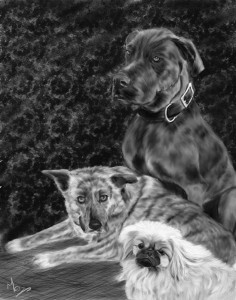 The combined digital painting of the three dogs, no photo manipulation… painted in Painter X using the charcoal and pastel tools plus blenders with some textures added for the background. This entry was posted on Monday, May 23rd, 2011 at 9:34 pm	and is filed under Traditional Art.